It's not uncommon for non-runners to think that runners are just crazy people. Run for fun? Really? Crazy. I used to think the same thing until I became a runner. THEN, I learned that sure--we're a little crazy. I ran, I trained, and I paid money to run 5K, 10K, a half-marathon. Who does that?! Crazy people. When I trained for and ran my first marathon, the non-runners who I told about it couldn't even fathom the thought of running 26.2 miles. Crazy. And now, as a three-time marathoner, I learned that there is another level of crazy runners--they are the batshit crazy runners. These are runners who run even farther than marathon distance--ultramarathons! More than 26.2 miles? I'm out. My mind was totally blown when I learned about the Badwater 135, a race of 135 miles through Death Valley in the middle of July, when temperatures are roughly 130 degrees F. Oh, did I mention the 13,000 FEET OF ELEVATION GAIN? But why do that race, when you can choose the Barkley Marathons? The Barkley Marathons is a race of more than 100 miles that must be completed in less than 60 hours--it's a five-loop course of 20+ miles per loop (the distance varies a bit because the course changes every year--and none of the runners know the course in advance). This race commonly ends without a single finisher. WHY, on God's green earth, would anyone choose to do this? Because they are batshit crazy, that's why. And recently, Friends, I learned that there are runners who put "batshit crazy" to shame. They make that level of crazy go way down to the bottom rung of the whole crazy ladder. I was invited to watch an advance screening of a documentary about a race that I'd never heard of, and when I read about the race, I legitimately thought that the mileage was a typo. It had to be. Or meant to be an ironic title. Or a joke. It couldn't possibly be a real race! I'm talking about the Self-Transcendence 3100 Mile Race. After you pick your jaw up off the floor, envision this: A road race where the runners must complete at least 59 miles per day for 52 straight days to finish. The entire race is on a 1/2-mile loop of a block in Queens, NYC. And it's done in the summer heat! Is there even a word that describes that level of crazy?! I'm going to NYC in September, and after I watched the documentary about this race, I said to Jerry, "Oh, I wonder what day the race is? I'd love to go spectate!" And I looked it up online. It read "17 June - 7 August". For a moment, I thought, "Well, which is it?" HAHAHA, my brain couldn't even grasp the concept of the race taking place from June 17 TO August 7! The documentary that I was kindly invited to screen is called "3100: Run & Become". It is fantastic, and it made me so interested in learning more about the role that running plays in different cultures. Different "levels of crazy", so to speak. The film is not just about the Self-Transcendence 3100, however. While that is fascinating in and of itself, my favorite parts were about how running fits in to other cultures--the Navajo, Bushmen, and Japanese Marathon Monks. 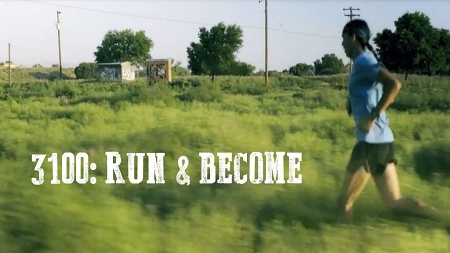 "Cameras in hand, we set off on a global exploration of running. 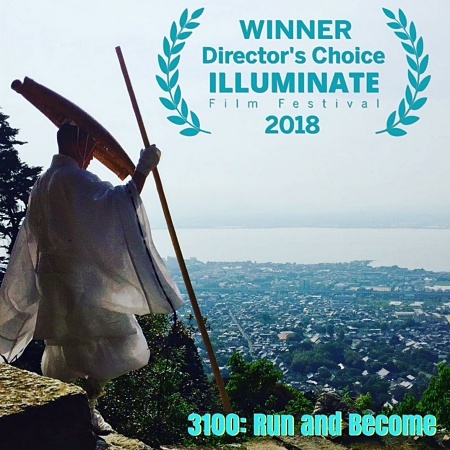 And we embedded with the Japanese Marathon Monks to document their epic 1,000 day running journey where the stakes are literally life or death. Once a generation they pick an Aspirant to do 1000 days over 7 years, in 100 day chunks - up to 56 miles per day. If the Aspirant fails to complete his/her daily mileage requirement, he/she must commit suicide (!). Thankfully this hasn't happened in 100s of years." The film will soon be available to the public at several screenings around the country. Here is the film's website, where you can see the dates/locations of some of the upcoming screenings. Even if you're not a "crazy runner", I encourage you to watch the film--it's informative, inspirational, and very interesting! I used to see this race in Flushing Meadows Park. Crazy and inspiring at the same time. I mean if they can do 56+ miles per day, I can finish my 3 mile loop right? There is a 24 hour race in Queens too. 1 mile loop and you do as many loops as you can in that 24 hour period. I can not even imagine!